Psypoke - View topic - War of the Dragons PEC: LONG LIVE ALTARIA! War of the Dragons PEC: LONG LIVE ALTARIA! Hello everyone! To celebrate the Dragon's Year, yours truly has picked twenty draconic creatures to fight for the throne...democratically! 1. Each person can vote ONCE per round. 2. Explain your reasons behind your vote. 3. No changing votes! Think before posting. 4. The Pokemon that won immunity in a round cannot receive Boot or Immunity votes in the next round. 5. A round is over when any Pokemon receive 5 votes of a kind OR when four days have passed. 5b. Semifinal and Final might be different. Will update when the time comes. 6. Do not post between the end of a round and ShinyLucario's announcement of the start of the next round. 7. For any further questions refer to this. Or look through some older PECs to get a general idea. 8. This is my 1st PEC, so leave comments to help me improve! Druddigon Does this helmet match my skin? Vibrava Evolves into my fav Dragon, nuff said. Reshiram No comment about its appearance, PLEASE. Last edited by ShinyLucario on Fri Jun 01, 2012 3:56 am, edited 5 times in total. Not only typewise, but even in gray, I'll take my chances with my beloved Reshiram. Kyurem is hard to train and doesn't have a good moveset. Kyurem's only perk is the high amount of HP. Cool as all . This thing is a beast in battle. / What is this? It looks like a gray walnut with legs, not a dragon. Kyurem looks awesome, has a great type hybrid, and I can't wait to finally get my hands on one. Feebas, meanwhile, is a harder-to-train version of Magikarp, that is even harder to evolve, and isn't even a Dragon... My mission is to weed out the non-Dragons included for some reason in this PEC. Kingdra is one of my favourite dragon type Pokes. I think that Feebas is a waste of pixels, to be honest. ...isn't even a Dragon...My mission is to weed out the non-Dragons included for some reason in this PEC. That depends on your definition of "Dragon". I want more variety than a gallery of Dragon-types. Arbok, Feebas, Treecko, and Scrafty are included for being in the Dragon egg group, Lugia is because it's somewhat dragon-like and Kingdra is lonely. Lugia is a great pokemon, even HGSS, it is still a great Dragon, regardless of it's typing, and what AEP says, it is better than Palkia. Palkia is just ugly and pointless. It is like Sinnoh's Zekrom. *Ahem* I see a contradiction. 2. Limit your participation to one post per day per PEC. The last thing we need is to have a PEC increase by three pages in one hour. Imagine some poor kid who votes and happily goes to bed, and then waking up to find that the final round is already up. Also: I'll stop quote abuse now. Would you like me to delete one of them? Yes, thank you. Preferably the later one, please. And...we have only 2 days left until the round closes. Edit: Also, how did you choose these 20? It seems like there are some glaring omissions. Latios (offense > defense)? Rayquaza? Shelgon AND Bagon, but no Salamence? Vibrava but not Flygon? And why Feebas but not Milotic, or Treecko but not Sceptile? I feel like Hoenn got the shaft; only one of their 5 or 6 awesome dragon types/dragon egg group pokemon got included. Also, how did you choose these 20? It seems like there are some glaring omissions. Latios (offense > defense)? Rayquaza? Shelgon AND Bagon, but no Salamence? Vibrava but not Flygon? And why Feebas but not Milotic, or Treecko but not Sceptile? I feel like Hoenn got the shaft; only one of their 5 or 6 awesome dragon types/dragon egg group pokemon got included. There's some noticeable holes in your question: who decided that offense is always better than defense? Only popular final evolutions and uber legendaries are worthy to be voted? You didn't complain that I have Kingdra and Haxorus but not Horsea and Fraxure? Because I picked seven preevolutions and not-too-popular Dragons from Hoenn means I'm neglecting it - which is in fact one of my favorite regions? Who decides which are "awesome" Dragons? Before starting this PEC I decided not to let it be dominated by super popular dragons (*coughCharizardcoughDialgacoughGyaradoscough*). Instead, I spread my candidates between some basics, some teenagers, some fully-evolved, and some legendaries. Few popular Dragons (i.e. D-nite, Lugia) and mostly the weak, the overlooked, the physically or competitively unappealing - they, too, deserve a chance to shine. A host is not obliged to appeal to his audience - especially not to every single one. I do, however, feel obliged to make myself clear. I did not mean to offend anyone, but if anyone do feel so, I believe it to be a subjective matter. Also, I might have consciously or subconsciously left out Sceptile and Flygon and Milotic because I knew I'll be forever traumatized seeing people flaming my favorite Pokemon but of course I'm not going to admit that anywhere. Now that's over, keep the votes coming! After four sunsets passed, none of our candidates has received five votes of a kind as the round concludes. *averts Jessie's Glare* Well...I need to give someone the shaft and I'm a big fan of picking on Gen I Pokes. Well, since I voted twice on accident last time, I'll just use my last vote that was deleted. Lugia is a great dragon, regardless of what AEP said last round. Palkia looks horrible and doesn't even look like a dragon. It is like the Sinnoh version of Zekrom. Lugia is amazing throughout all of the games that it appears in. Scrafty is ugly and I'm not a huge fan. I said nothing about Lugia! It is not a Dragon, yes, but a Legendary Poke is one for a reason. Personally, Aeroblast is awesome, especially because of the sound that played with it in GSC! Now I will (slightly) contradict the above statement when I vote Lugia down [not right now], because it still is not a Dragon-type. In all fairness, I did forget about the Dragon Egg group. I'm sorry that I did not think about that, but when you have done as much analysis as I have on Types of Pokemon (not involving Eggs), that's how I think about them. Kyurem is still awesome, and I don't even have one! Treecko, while perhaps my main Hoenn starter, is not fitting to be (in my mind) still in this PEC, due to its typing. Not only that, but it got nerfed by Nintendo not to pick a Dragon or Flying hybrid when it evolved, like the other two starters from Hoenn. Sorry, Treecko, thanks for the memories. The Year of the Dragon began today. Huzzah. Seriously, I still have no idea why people make so much fuss over "Omigosh even though that's a perfectly fine Pokemon that I like it's not dragon-like enough so I'll boot it"
"Dragon" is not a strict criterion used to judge these Pokes, but more of a theme used to pick them. Also imo just saying "that Pokemon is awesome" and "I don't like this" is not good explanation to support your points. Fluffy cloud-dragon-bird thing that nearly swept my team in Pokémon emerald. 2 DDs and then EQ. 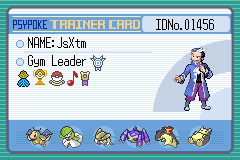 Only a couple of lucky critical hits saved my nuzlocke challenge/Never liked it , (probably) never will. Losing nearly, if not, all battles in the anime didn't do it any favours either. Arbok has always been one of my favorite Poison types, and has a really cool design. Not to mention one sacrificed himself to save my starter in my Fire Red Nuzlocke. We will never forget you Farim! On the other hand, Dragonite is big, ugly, and now spams Hurricane. I'd prefer the abomination to be eliminated as soon as possible. Gible, you're next! @DragoBoy: Indeed. That fluffy bird alone makes Winona an actually tough Gym Leader...without Ice Beam (or a good Poke to use it since you're nuzlocking) it can sweep about EVERYTHING if you let it dance for a while. I suppose you lost some comrades? @Farim: I only learned who you are a couple minutes ago, but I'm touched by your great act of devotion and self-sacrifice *sob* Rest in eternal peace!